Twin (12′ x 11′) on first floor with balcony. Twin (11’6″ x 9’9″) next to Bedroom 1 with balcony. Double (11′ x 10’4″) with unusually large bed, and basin, on the second floor towards the rear of the chalet. Single (9’6″ x 8’6″) on second floor, with an extra bed on a mezzanine (8’10” x 8’6″). Single (9’5″ x 8’6″). Sweet little room on first floor, containing a double bed that can be used for two people when one party books the whole chalet. Single (approx 9’6″ x 10′) on first floor containing a double bed that can be used for two people when one party books the whole chalet. Two bathrooms, one on each floor, plus two separate wcs. Additional shower with wc on second floor. (18’6″ x 11’6″) On second floor with comfy new sofas at one end, kitchen at the other (not included in measurements) and dining table in the middle. Wide balcony. WiFi in places. Two of the bedrooms are twins with views towards Solaise. Then there is a double room with washbasin. And there are three single bedrooms, a rarity in Val d’Isère. Two of these single rooms actually have a large double bed, while the third has a single bed plus a second bed up a ladder. 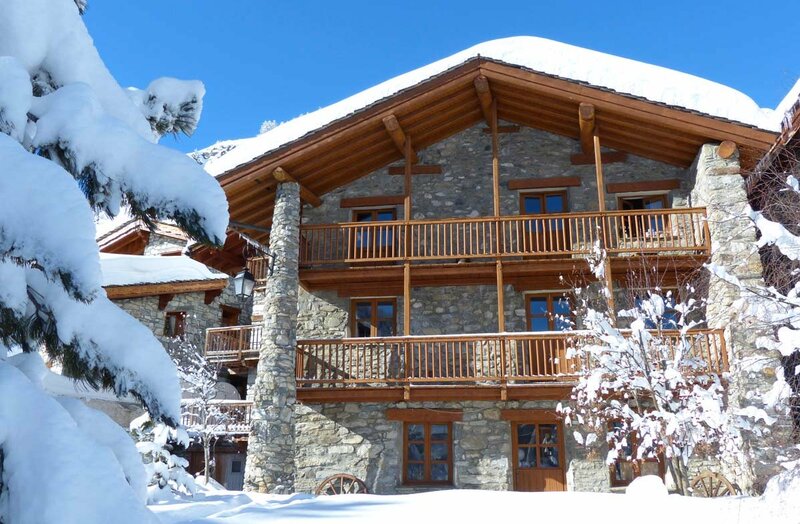 When one party fills the whole chalet, the guests in any or all three of the single rooms can bring an extra person at half price – hence the total of twelve.